D. Devaraj Urs served two separate terms as Chief Minister for the state of Karnataka. His first term was between the 20th of March 1972 and the 31st of December 1977. His second term as Chief Minister was between the 28th of February 1978 and the 7th of January 1980. He was succeeded by R. Gundu Rao in the Chief Minister’s chair. He was a politician with a cause. His popularity with the people was unquestionable. He won the elections consecutively for a span of 28 years. 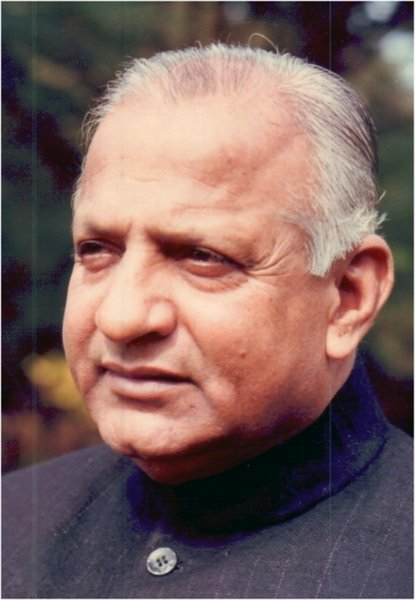 He was repeatedly elected to the Legislative Assembly from Hunsur constituency between 1952 and 1980. His term as Chief Minister is also one of the longest terms in the history of Karnataka. His tenure as Chief Minister was interrupted by the President’s rule and not due to falling out of favor with the people, reiterating his popularity with the people. Some of the revolutionary decisions that Devaraj Urs made during his tenure as Chief Minister led to his fame and goodwill amidst the people of Karnataka. D. Devaraj Urs is held famously as the greatest social reformers ever from Karnataka. He made several key changes that brought not only relief, but also restored a sense of dignity to the people of Karnataka. Several decisions made by Urs were met with disbelief and strong opposition from members of the society and members of his own party as well as the opposition party. He is remembered as the man who gave a voice to the oppressed. For the first time perhaps the issues that were hitherto swept under the rug were addressed head on. He was the minority of leaders and politicians that addressed the pressing question of social justice. Education of the “backward” classes of society. Establishment and maintenance of hostels for members of the backward classes and minorities. Allocation of stipend funds for the 16,000 odd unemployed members of the minority sections of society. Abolition of bonded labor, night soil carrying duties allocated solely to members of the Dalit caste. Land reforms according to which the tiller or the farmer became the owner. The Kali project for irrigation purposes. The land reforms were especially applauded as they were instrumental in erasing the Zamindar system. They afforded self-respect and a sense of dignity to the farmers who were hitherto treated as bonded labor. The question of social justice therefore saw the light of day due to the efforts and changes effected by Devaraj Urs. Further, Devaraj Urs chose educated academics to be members of the state cabinet. This was a move that was new and received stiff opposition from party members. Further his land reforms were the first step in equalizing land distribution throughout the state. Shelters for migrant workers, forgiveness for rural debt and electricity in every house across the state were some of the other reforms in the State. The major change that Devaraj Urs effected is one that has changed the landscape of Bangalore. The initial plans for an electronic city were drawn up during his tenure. Although the plans were met with skepticism and blatant opposition, Devaraj Urs believed in the plans and approved them. His terms as Chief Minister not surprisingly were riddled with opposition and disillusionment. Once a staunch follower of Mrs. Indira Gandhi, Urs fell out of favor and eventually set up his own political party. His party, however did not win the subsequent elections+. He joined forces with the Janata party after the loss at elections. Today Devaraj Urs is remembered as the man who ushered in a revolution by closing the vast disparity between the landed gentry and the bonded labor.